Please note, General Admission Tickets do not guarantee a seat. This show will be set up with a large dance floor and limited seating. 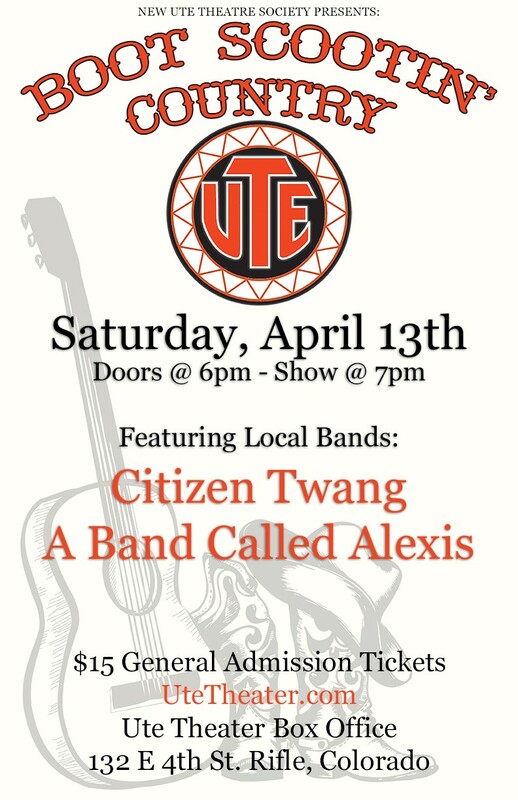 Citizen Twang is the continuation of the Caleb Dean Band. When Caleb decided to retire, the band members wanted to continue on with the great music they have be playing for years. Under the new name of Citizen Twang, Larry Gottlieb on steel guitar, Brian Lemke on lead guitar, Gordon Wilder on drums, JD Martin on piano, Dave Johnson on bass and Ross Kribbs on fiddle, will resume the tradition of country music for all of the country music fans and dancers in western Colorado. A Band Called Alexis is a group comprised of professional musicians from the Roaring Fork Valley. The band specializes in performing Country and Blues with a little bit of Rock and Roll.